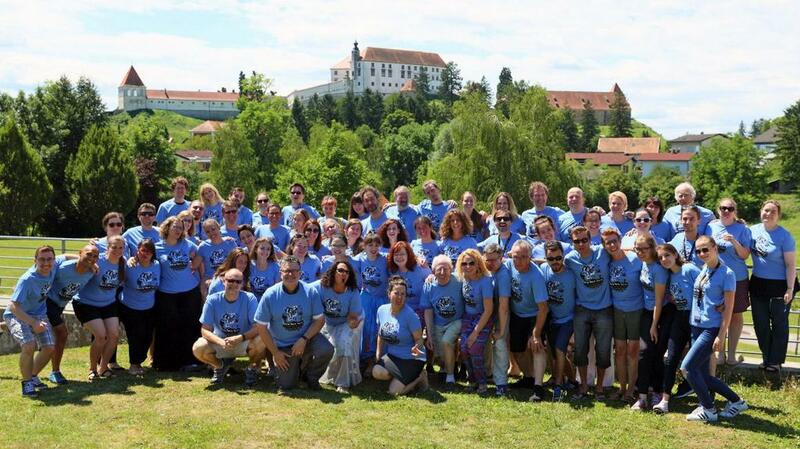 The town of Ptuj has hosted the New York Voices jazz camp twice, but it appears that the Grammy award-winning jazz camp will no longer be held in Slovenia's oldest town. The organizers of the camp point their fingers at the local authorities. Danijel Poslek, Radio Slovenija; translated by D. V.
Only New York and Ptuj have so far hosted the massively successful camp. But this time around, it appears that the event hasn't received enough financial support. "Neither Ptuj nor Slovenia has ever hosted such an event. We have been assured that we will get 15,000 euros to host the camp. New York Voices were given assurances in writing that the Municipality of Ptuj would back the project, but in the end we didn't receive the money we were promised," said Mladen Delin, the organizer of the Arsana festival. The Municipality of Ptuj said they were never told how much money the organizers needed. The organizers, on the other hand, say that this is simply not true. "The Municipality definitely knows how much money we expected and needed, so that's a very convenient answer for them. Both we and New York Voices were given assurances that the Municipality would support the project to the tune of 15,000 euros," said Samo Ivačič, the coordinator of the festival. Due to a lack of funds, the members of the group received no pay this year. The organizers of the festival say that this is unacceptable. "The Municipality of Ptuj has to realize that cultural workers will not work for free while others get paid for sitting around in an office," said Delin, adding that Ptuj should be putting more money into culture – especially into such high-profile events. Miran Senčar, the mayor of Ptuj, said that the Municipality is aware of the importance of such events, but he also believes that money was not the only reason the project fell through. However, Delin and Ivanič called this statement "outrageous", saying that 15,000 euros would have been enough to keep the event in Ptuj.